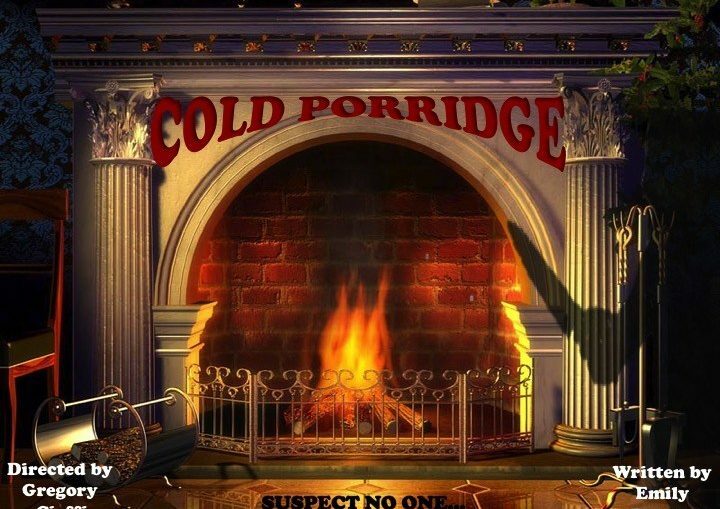 Cold Porridge is a vibrant murder mystery spoof that had the audience laughing from start to finish. It’s just a lot of fun. Although Emily Dinova’s script had many moments where characters seemed to make unjustified choices, which being a serious theatre goer was a little frustrating for me, I found if I simply surrendered to the silliness of it, it didn’t matter so much. That’s not the point of a show like this. The point is to enjoy the characters, their insanity and the mystery of “who is the murderer?”. The actors were a wonderful array of energetic and strong performers. Some highlights were Lucinda Jones (Catriona Rubenis-Stevens) who was strong, loud, ridiculous and specific and Marc Poison (Doga Celik) who was so good at being arrogant and a disgusting flirt that I couldn’t help loving hating him. Miguelito Javier Alejandro Rosenberg (Kevin Tobon) was a character that was fantastic in the writing, costume and acting. A unique, random and hilarious performance and character. Gregory Cioffi’s direction was balanced and sharp and you could tell he really knew what he was doing. The play isn’t my cup of tea, but it certainly is someone’s. Julia is a multi-award winning film and theatre maker who has been producing, writing, directing and acting for over ten years. She has created work in Australia, France, South Africa, Turkey and the United States. Julia is committed to supporting artists. She understands the challenge, the hard work and soul that every artist puts into their work. For this reason, Julia will not write a review for a show she doesn't like (that she would give less than three stars to). So expect to read only enthusiasm in her reviews, because without enthusiasm, there will be silence.